Lionic â€“ Online Finance & Legal WordPress Theme. 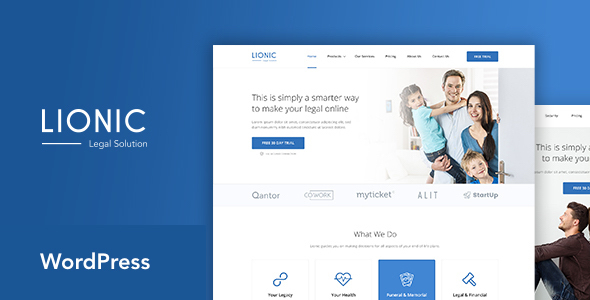 Lionic is modern and fresh design template for Online Finance & Legal that helps users gather and securely store information online relating to all aspects of their life, and provides loved ones critical information needed. This template including the various homepage, various service page, and various blog page. Itâ€™s completed template and ready for your company/office.